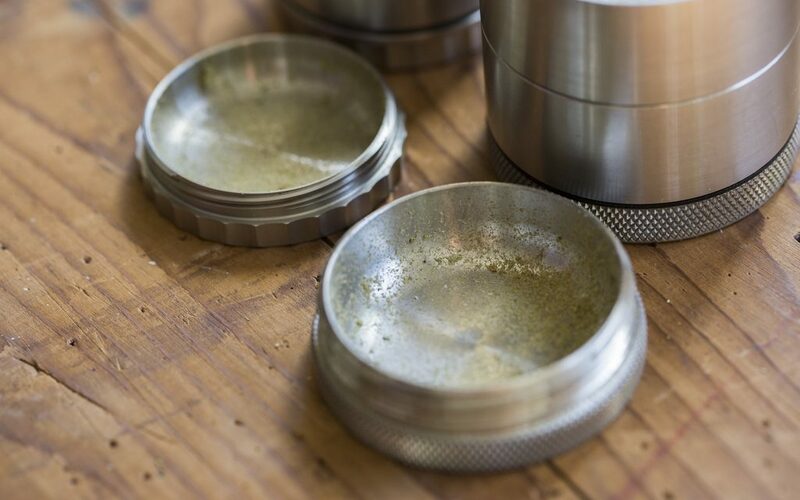 A year ago, when I set out on a search for an herb grinder made of stainless steel, the only one I could find was designed primarily for grinding up pills. 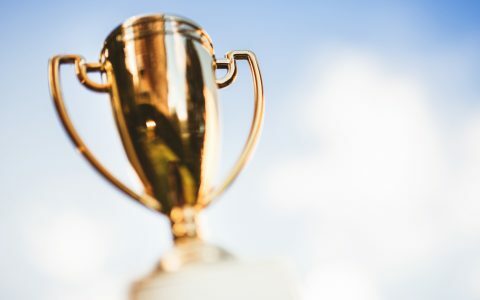 If you wanted to avoid aluminum—and I did, especially after noticing tiny slivers of metal in my grinder—your best options were coated aluminum grinders or those with certain components made of stainless steel. Slowly but surely, that’s changing. Today there are at least three grinders—that’s right, three! *—constructed completely of stainless steel. When I think about my kitchen, just about every metal utensil I use is made of stainless steel. The material is generally strong, long-lasting, and considered safe for food and other consumables. 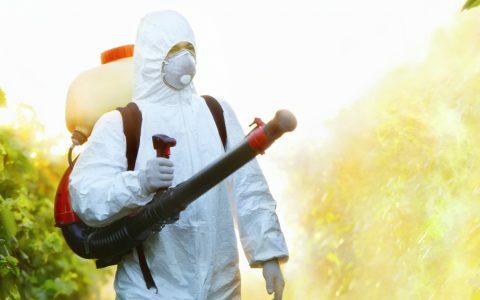 It’s also a breeze to clean up. 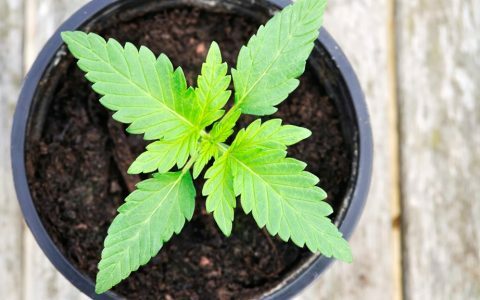 Much like how pesticides became a concern as legal cannabis markets opened, I expect the spread of legalization will lead to more questions about the materials used in accessories. 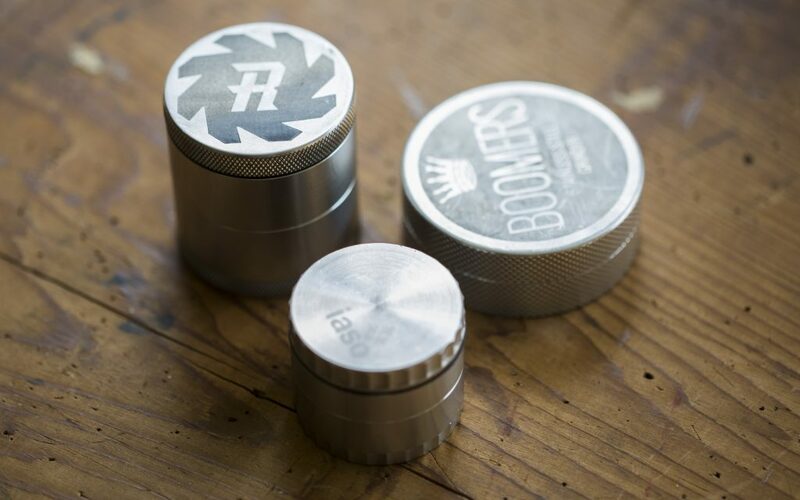 Go to a smoke shop, though, and nearly every grinder you’ll find will be aluminum, mostly because of cost. Aluminum is cheaper and easier to machine than stainless steel, allowing for faster manufacturing times and lower prices for consumers. That doesn’t necessarily mean aluminum is the best choice, though. There are health issues to consider. Research on the subject isn’t entirely consistent, but a 2016 meta-analysis found that individuals chronically exposed to aluminum were 71% more likely to develop Alzheimer’s disease. 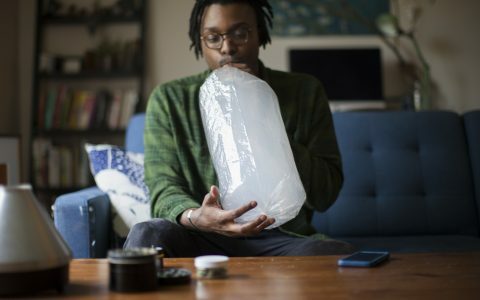 Much like how pesticides became a concern as states opened legal cannabis markets, I expect the spread of legalization will lead to more questions about the materials used in accessories. That 2016 study worried me enough to start looking for other options. Which led me to steel. Are there tradeoffs with stainless steel? Of course. It’s heavier and more expensive than aluminum. 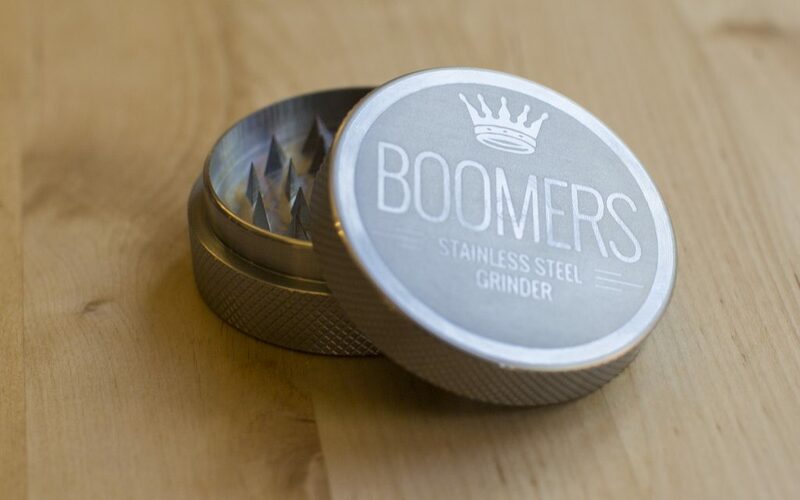 And because few manufacturers made grinders out of stainless steel, there are only a handful options to choose from. Luckily, that’s starting to change. 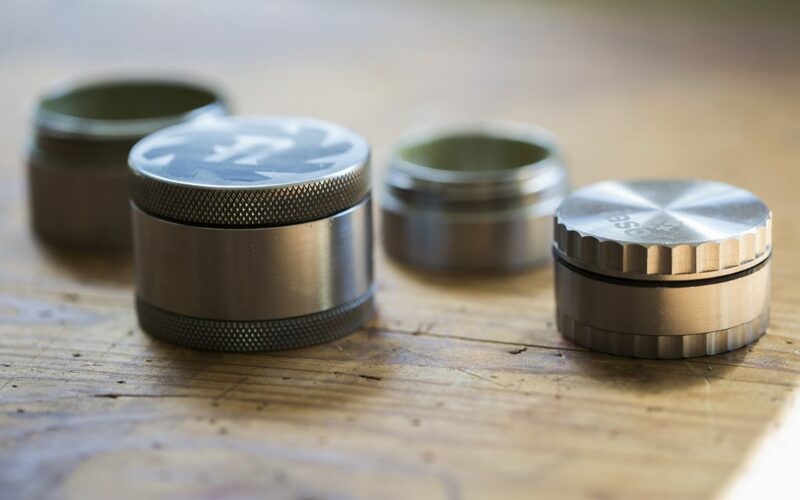 After gathering a handful of stainless steel grinders, I brought them to friends’ houses and work gatherings, encouraging others to use them as they would their own. In all, we probably ran a solid ounce of cannabis through each grinder, using flower of varying quality. I also carried each grinder around in my backpack to get a sense of portability and durability. Then I made notes of what worked well and what didn’t, paying special attention to issues I’ve run into with other grinders. When I first started hunting for a stainless steel grinder, the Herb Ripper is close to what I had in mind. It looks like what you might expect a grinder to look like. No frills, no gimmicks. Pretty darn simple. That simplicity may be the Ripper’s greatest strength. Made by a machinist named Kevin in Cincinnati, Ohio, the Ripper takes a tried-and-true design that should be familiar to most users and (finally!) makes it available in stainless steel. Despite the grinder’s simplicity, you’ll notice small, thoughtful details. The plastic O-ring, which in most cases I end up losing, is permanently connected to the grinder’s lid. The teeth have dull, pyramidal points that help push through tough nugs, but they’re not too sharp to go fishing for a stubborn stem with your finger. 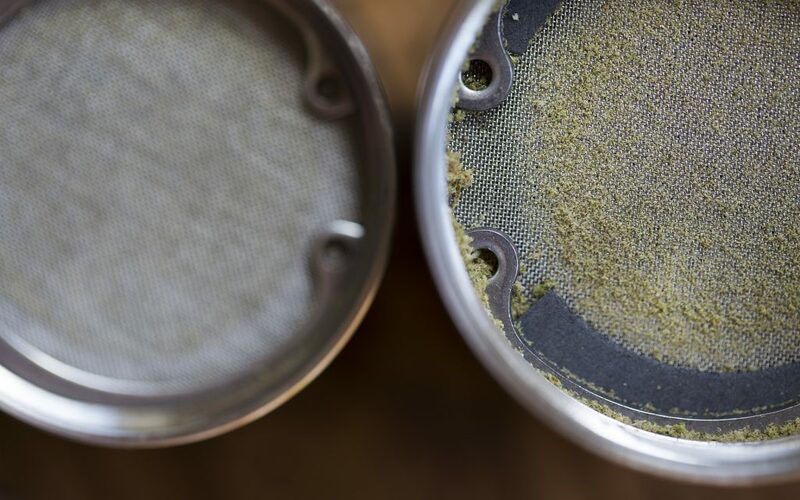 The bottom chamber, where the kief collects, has curved edges instead of squared ones, making it a little easier to scoop out every last bit of kief. And because it’s stainless steel, you can just toss the whole thing in a dishwasher if it gets dirty. 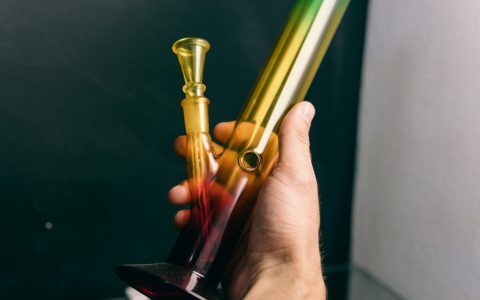 The Ripper also ships with a stainless steel ball bearing, meant to perform the function of a grinder coin—basically to jostle your flower’s trichomes through a screen and into the kief catcher below. 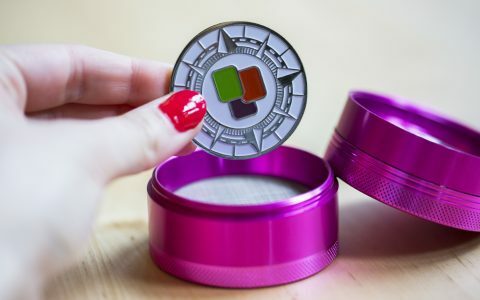 If you’re someone who uses a grinder coin, the advantage here is that the ball bearing does the same thing but is made of stainless steel. If you’re not into it, no worries—just set it aside. 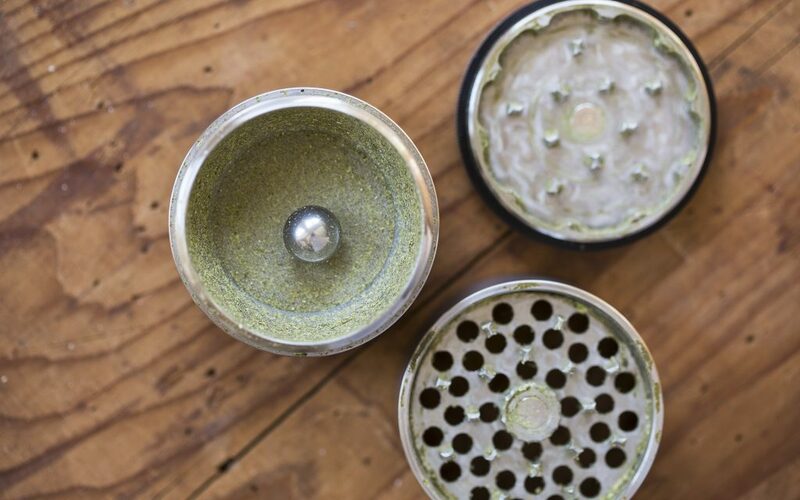 Your grinder will work just fine without it. Grinding cannabis with the Ripper was a pleasure. Rotation is smooth, and it grinds flower to a consistent, fine texture. The 2-inch diameter is bit smaller than some mainstream grinders, but I found it worked fine for regular use and ends up saving some weight. 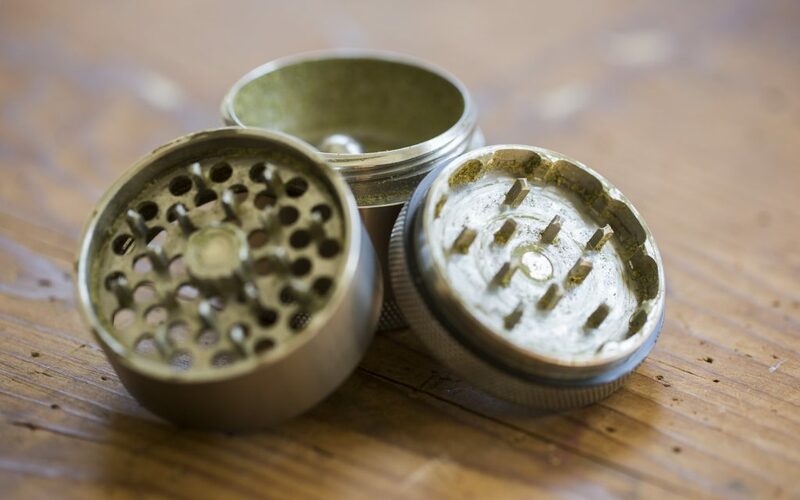 If you grind a ton of cannabis all at once, you might want a bigger option. My only gripe with the Ripper is the threading. While the threads are cut deep and don’t clog with cannabis like some grinders I’ve owned, I sometimes have a tough time screwing together the pieces correctly. You know how sometimes a jar lid screws on at an angle and won’t go on all the way? I ran into the same thing with this grinder. It’s not a deal breaker for me, but it mars what otherwise might be my ideal grinder. TL;DR: If you’re looking for a stainless steel grinder for everyday use, this may be the best choice around. It’s sturdy, reliable, and comes in a size that should fit most users’ needs. From what I can tell, Iaso Goods might just be the first commercial manufacturer to deliver a 4-piece grinder made of stainless steel. The first thing I noticed when I unboxed the Iaso grinder was its size. This thing is petite, with a diameter of just 1.75”. That’s only a quarter of an inch smaller than the Ripper, but it ends up feeling considerably smaller in practice. 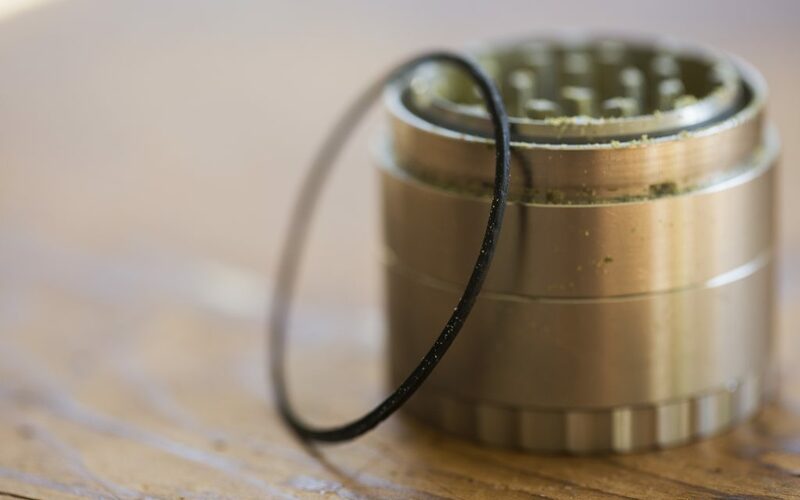 That small size makes it easier to carry in a purse or pocket, but it also means it can’t grind or carry as much cannabis as standard grinders. 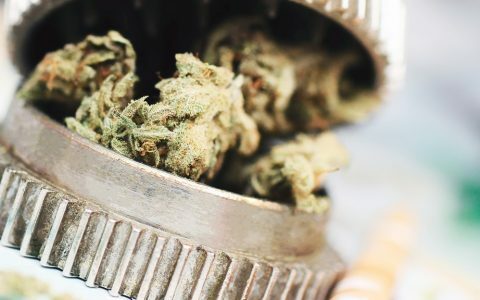 That’s no big deal if you’re using a one-hitter or a dry herb vaporizer like a Pax, but if you regularly roll blunts or go through larger amounts of cannabis, you might have to grind in multiple batches. This is a handsome little grinder. The quality of construction is excellent. Parts fit together snugly and almost seamlessly, and the grinding teeth are surprisingly sharp. 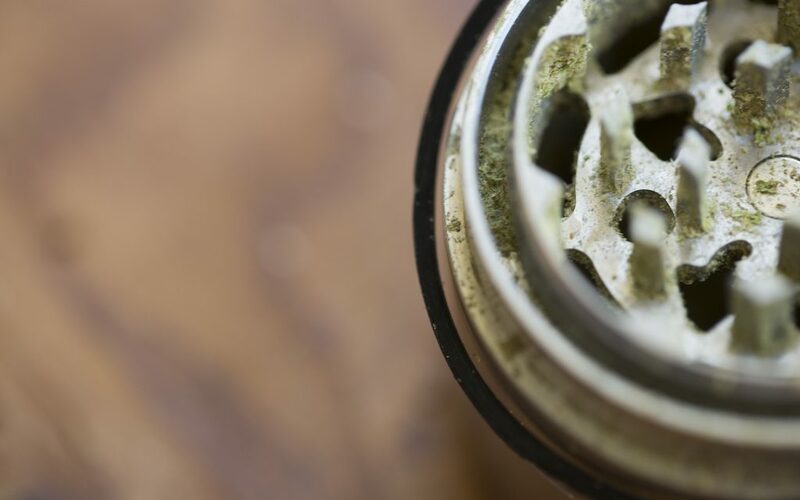 Like the Ripper, the Iaso grinder’s kief chamber has gently rounded corners (more like a saucier than a saucepan, if you know your cookware), and the mesh screen above the kief catcher can be replaced easily if it gets clogged or damaged. If your grinder gets too gunked up, the stainless steel components are dishwasher safe. 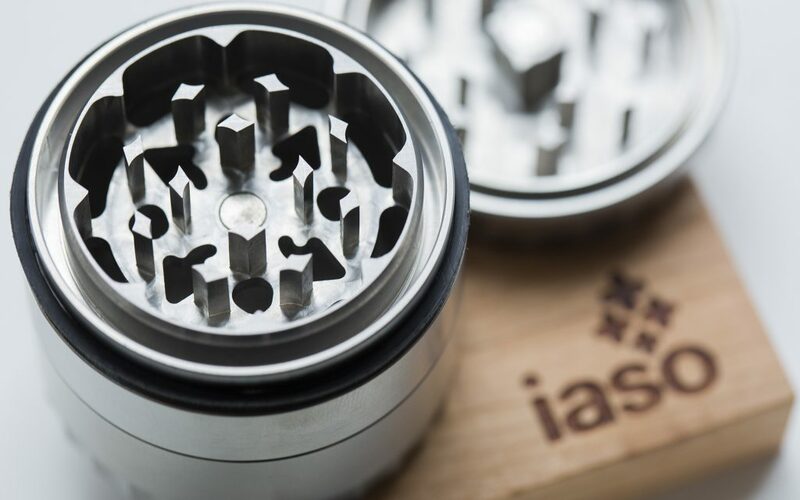 The Iaso grinder’s most unusual feature is its labyrinth seal, which is intended to keep the two top sections from getting gunked up and sticking together. It’s a laudable attempt to solve a common grinder problem. But it also ends up making the grinder feel smaller, as the seal itself takes up the outer edge of the grinding chamber (as you can see in an above photo). 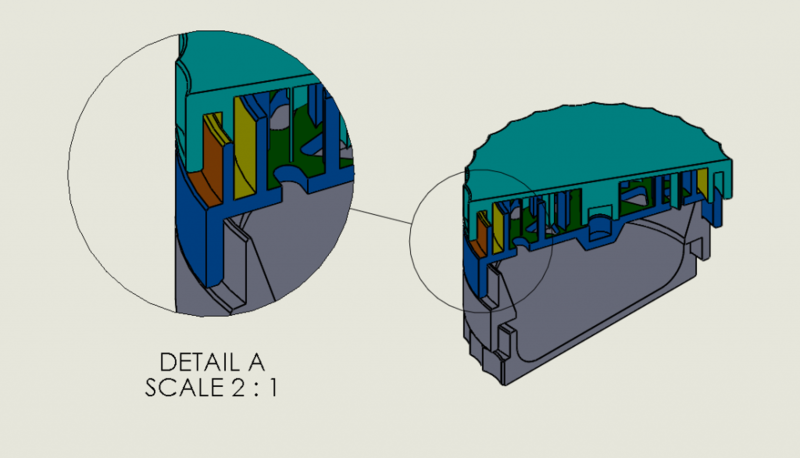 The inner chamber, where the unground cannabis goes, ends up being about 1-3/8” in diameter. For an extra $10, you can buy a fancy wood-and-steel box that doubles as a stash box. It’s pretty, but it doesn’t seem to be airtight. I’d prefer it have some sort of silicone seal around the outer edge (like my Kindtray), to keep cannabis fresh and prevent odors from leaking out. I like the Iaso grinder a lot and currently use it as a backup. I really wanted to love it, but there a couple things got in the way. First, the plastic O-ring that fits between the lid and the rest of the grinder is unsecured and pops off almost every time I remove the lid. It’s not an essential piece, but it helps the grinder spin more smoothly, and it’s frustrating that a $130 grinder would have such a basic design flaw. The company assures me that the O-ring on the next version of the grinder will have a securely attached O-ring. About that labyrinth seal: I’m no mechanical engineer, but my understanding of a labyrinth seal is that it’s supposed to be sealed in order to prevent particulates from gunking it up. That’s a great idea, given how some grinders tend to stick as they get dirty. The idea behind the labyrinth seal—which is a real thing in engineering, I learned—is to prevent the edges of the grinder’s two top sections, which rub against one another (these are called mating surfaces and are pictured in orange in the above diagram), from getting covered with sticky resin. Thus, the thinking goes, your lid will never stick. To be fair, the grinder still hasn’t stuck. But neither has the Ripper, which has no special seal whatsoever. On the fence? I think you’ll get good use out of the Iaso grinder, but personally I’m more excited about version 2.0, which will hopefully see some kinks ironed out. The Iaso grinder is available through the manufacturer’s website. A four-piece grinder retails for $129.99, while a three-piece goes for $79.99. A wooden “stash box,” which has a stainless steel interior, will set you back and extra $10. If you’re going for a super portable (and slightly more affordable) option, get the three-piece and skip the stash box. I don’t think it’s worth the extra $50 to add a kief catcher to such a small grinder, but that’s your call. 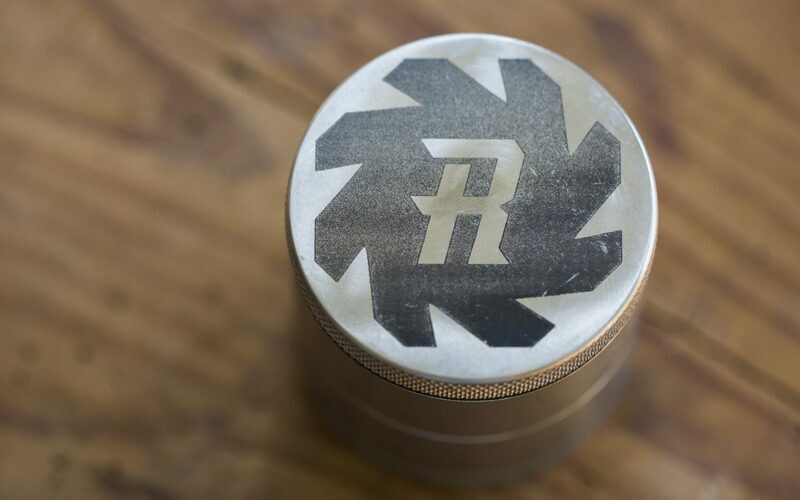 TL;DR: This is a beautifully crafted grinder for people looking for a smaller option, and it’s likely to last you a while. But the jury’s still out on the grinder’s killer feature, its labyrinth seal. I already reviewed the Boomers grinder, so I’ll try to keep things brief. This is a two-piece, ultrasimple grinder that is built like a tank and could probably double as a weapon. It’s about the size of a hockey puck and opens to reveal two sets of sharp, pointy teeth. Like, really sharp teeth. Be careful. For some uses, the grinder might be very nearly perfect. 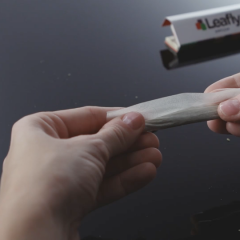 A friend of mine grinds a bunch of cannabis into a rolling tray, then rolls multiple blunts to save for later. This might be good for that, as it will process a ton of cannabis in a hurry. For me, though—and, I’d argue, most casual consumers—it’s a poor fit. 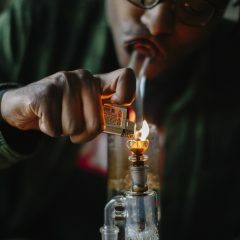 Because the ground cannabis remains in the grinding chamber, among all those pointy teeth, it’s difficult to pour directly into a joint and difficult to dig out with your finger. 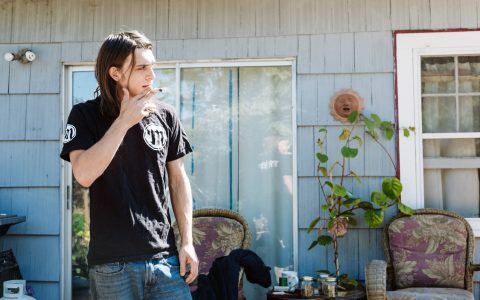 Need a pinch to put in the bowl of your bong? Don’t reach into the Boomers grinder! It works best if you grind everything up, then dump everything out. If I were a budtender rolling hundreds of pre-rolled joints, this is the grinder I’d use. For personal use, though, I’ll stick with a three- or four-piece grinder. 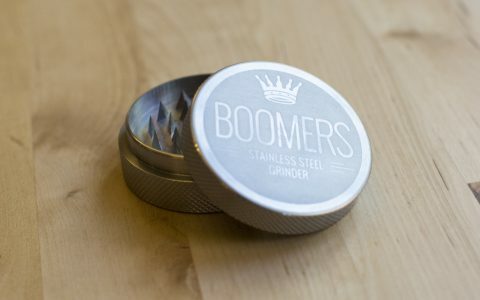 The Boomers grinder is available through Wacky Willys, a Victoria, BC­–based website that sells all manner of cannabis-related equipment (plus other things, such as pill presses and, for some reason, fidget spinners). The site lists the Boomers grinder’s regular price as $149.99, but it’s been on “sale” for $95 for nearly a year now. 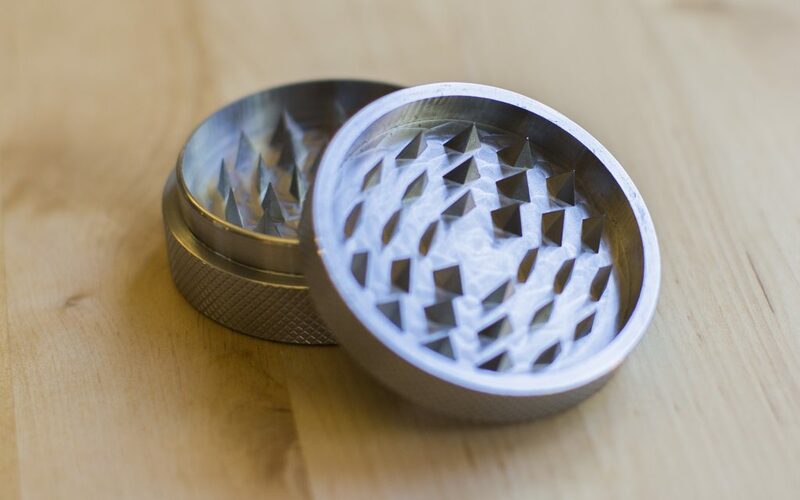 TL;DR: Want a two-piece stainless steel grinder that can cut through cannabis in a hurry? Buy this. If you’re looking for anything else, there are probably better options out there. *OK, so there may very well be more than three models of stainless steel grinder out there, but these are the ones I could find (and I searched—exhaustively). Do you know of others? Please let me know in the comments. This is clearly becoming something of an obsession for me. Good point about aluminum and Alzheimers. Never buy anti-perspirant either, as most of them have aluminum. Some deodorants do too so check the label. Thanks for this. I think it’s fair to question the findings of that meta-analysis I linked to, and I hope I didn’t present it in the article as settled science. 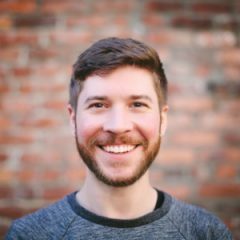 That said, I read the article you linked to, and I don’t think “disproven” is the best word for “not been able to confirm” or “questionable results.” Independent of ALL that (because I’m really not trying to take a scientific position or start arguments, only explain my own approach), I think there are other good reasons, like durability, to consider stainless steel. My friends and I never talk about Alzheimer’s when they use my grinder, but they do really like it. The orally consumed aluminum/alzheimer’s link is nonsense. Repeatedly debunked. So says Dr. Helssom, who isn’t really a doctor. Debunked by who – the Aluminum Association?